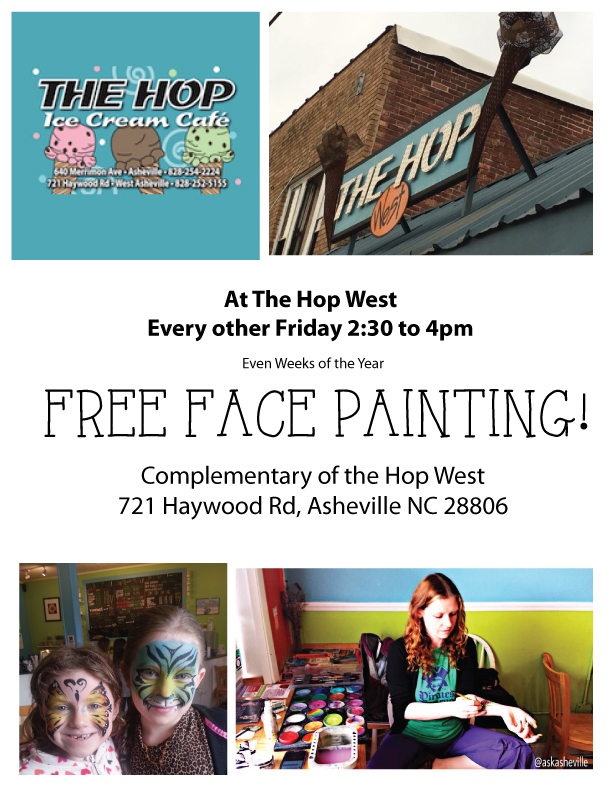 (828) 423-0428 - I have a new number! I will be updating across all media here shortly! We look forward to a busy and joyful 2019 Season! 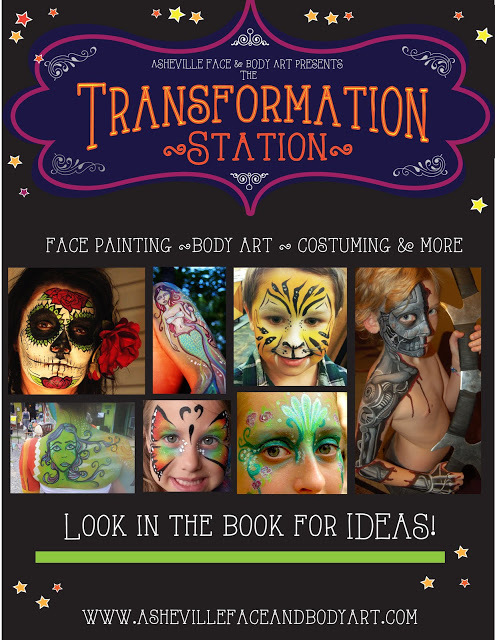 What do you want to be transformed into? See you at the Denver Zombie Walk! Oct 22nd, 2016 make up at noon! 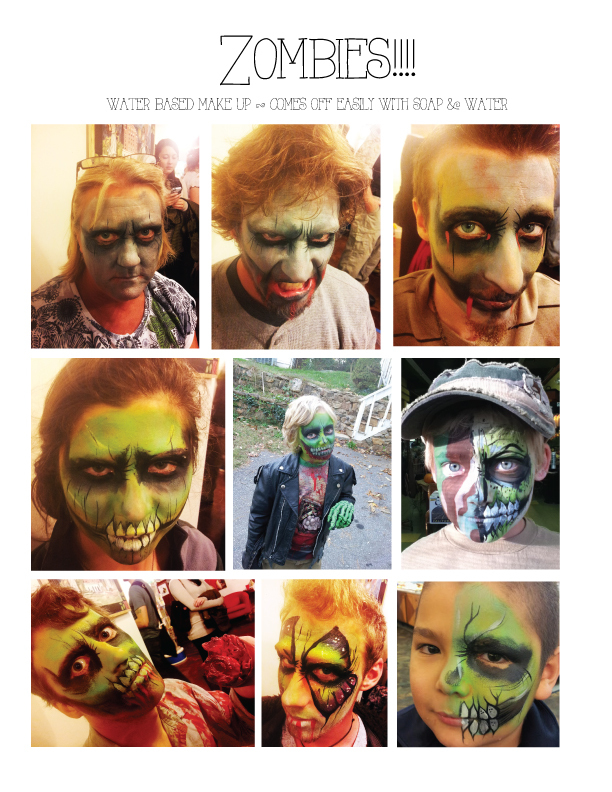 I offer water based non latex make up. This makes removal easy with just soap and water. 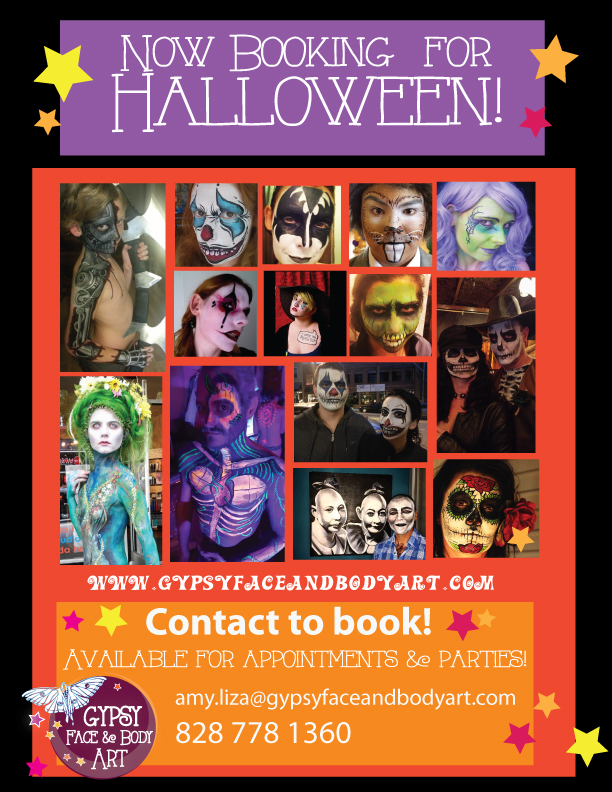 For Hire for Halloween and Dia Day Los Muertos! 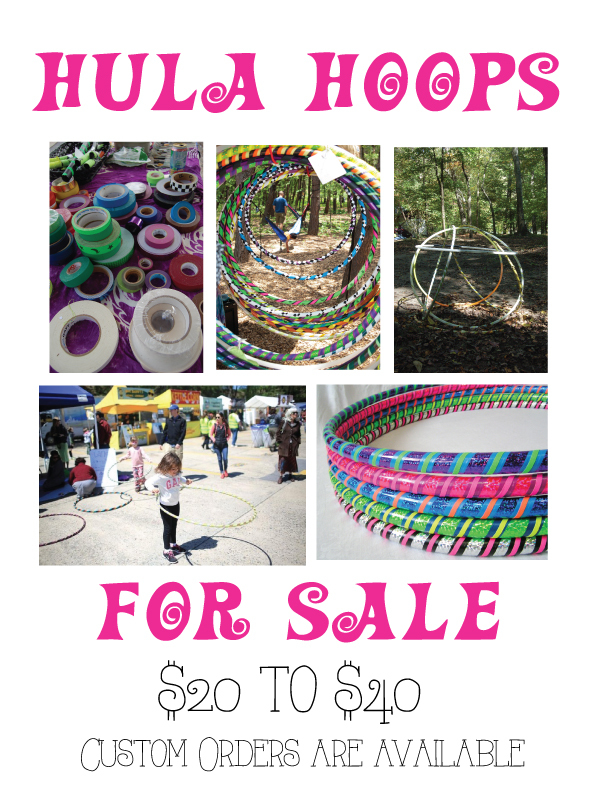 Handmade & Custom Order Hula Hoops! These hoops are great for fun and movement. Waist Hooping Alone has proven to burn 400 to 600 calories an hour! Check out this video on hooping. 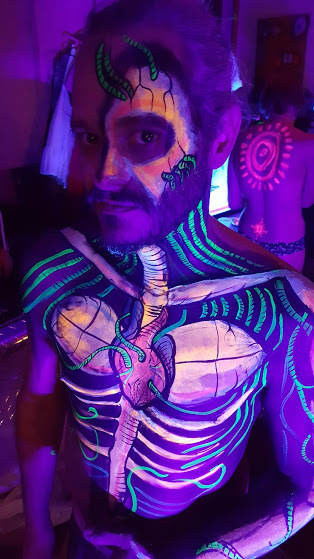 The Denver Face & Body Art Jams happen once a month at the Fusion Factory Studio & Gallery in downtown Denver. This time the theme was UV reflective. 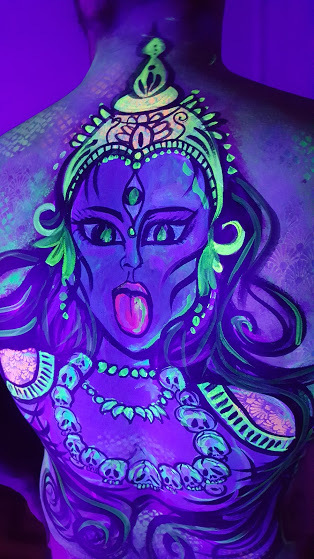 I brought my UV paints, a LED strip light, (Blacklight) and a model for the first time attending this jam.